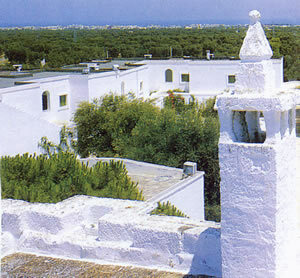 In the region of Puglia – which we tend to describe as the ‘heel’ of Italy – the building of a masseria was the way in which the inhabitants used to deal with the unwelcome attentions of the marauding Saracens. Essentially, it was a fortified farmhouse, usually painted white (in order to cope with the heat of the sun) and equipped with a tower or high vantage point from which the approach of any unwelcome visitors could be spotted. 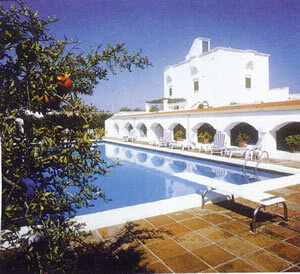 In the 17th Century such a masseria was built among the ancient olive trees not far from the seaside town of Monopoli. Now it forms the centrepiece of a well-regarded hotel. Its name is Il Melograno. And today the visitors – like myself – are welcomed with warm hospitality and good cheer. As the electrical door slid open at the entrance to the estate and I carefully manoeuvred the hire car along the drive, I had the sense of entering a private and comfortable domain. This feeling was appropriate, because the owner of Il Melograno, Camillo Guerra, is a dealer in art and antiques and the property therefore contains many items which reflect his refined and individual taste. And then there are those remarkable olive trees. Some of them date back to Biblical times, and their gnarled and weirdly shaped trunks make them appear like ancient and well-loved characters in the history of the establishment. 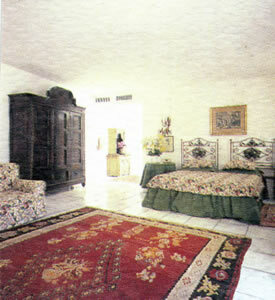 There are 37 rooms, clustered around a central courtyard. Mine – number 212 – was on the first floor of one of the whitewashed extensions. 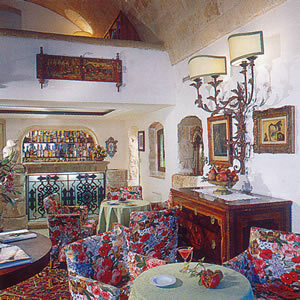 It was a ‘Deluxe Double’ and therefore 330-470€ a night, bed and breakfast for two, according to season. This was comfortable accommodation, but – if you like plenty of space – my advice would be to go for one of the suites (pictured) for 590-1,350€ a night. 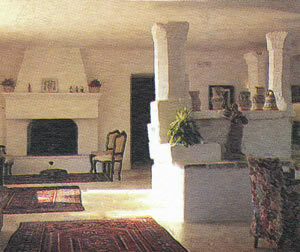 The style is set by the combination of white walls, tiled floors and shuttered windows. 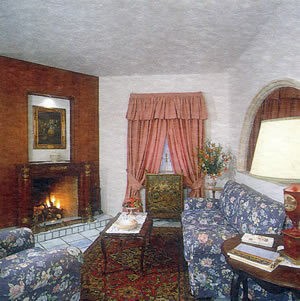 My entrance hall had an easy chair, and then there were two steps down to the sleeping area, which had a fitted writing desk (with a safe and a mini-bar stocked with complimentary soft drinks) and was lit by wall lights and three table lamps. Two Persian rugs supplied the colour. Fitted wardrobes lined the way from the hall to the bathroom. 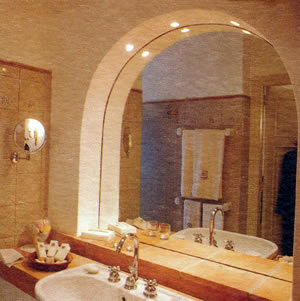 The latter was lit by spotlights and contained a tub, separate shower, loo and bidet. I am not one of those who enjoy worshipping Mr Sun. But for those of that congregation, the hotel has its own private beach 5 miles away. 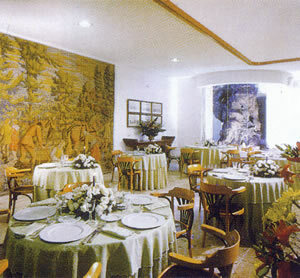 For me, I thought of Il Melograno rather as a ‘restaurant with rooms’, because it struck me that it was the dining room which was the heart of the hotel. And it was a delightful thought that the olive oil and the orange juice brought to its tables were made from olives and oranges from the estate’s own trees. 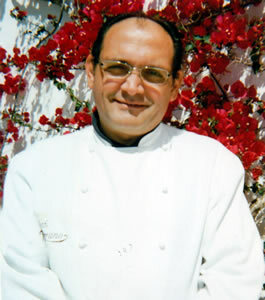 Executive chef Onofrio Serio (pictured) is a talented chap, and he uses this abundance of good produce to great effect. 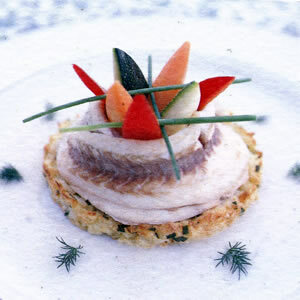 His cuisine is unashamedly Apulian, which is as it should be in this context. 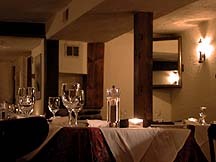 He sends his food into a setting which is either in one of the intimate dining rooms, with real fires crackling in the fireplaces, or on the loggia/terrace next to the large swimming pool. At both I found decent armchairs, good white napery, candles in glass candlesticks and excellent Riedel glassware (from the Restaurant range). 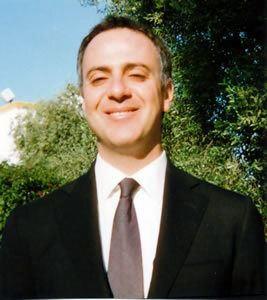 And the service – orchestrated by Maitre d’ Francesco Alberini (pictured) – was also as it should be: courteous, friendly and efficient. Allow me to share with you the highlights of my four-course dinners. (Half-board is an extra 70€ per person per day.) Martina Franca capocollo (a type of cured ham from the area) with melon was made special by the sharpness of pieces of local cucumber. Cannellini and borlotti bean salad with sundried tomatoes, local prawns and olive oil was well-balanced and served in a healthy portion. Broken spaghetti with fresh peas, onion, scrambled eggs and Pecorino cheese was a lovely pasta dish, full of good textures and flavours. Sliced sirloin of beef was tender and tasty and made even better for me by the accompanying dish – provided at my special request – of delicious fresh peas. And the warm apple tart with cinnamon ice cream and the bavarois with almond crisp and strawberry salad were both, if I may use a vulgarism, ‘lovely puds’. 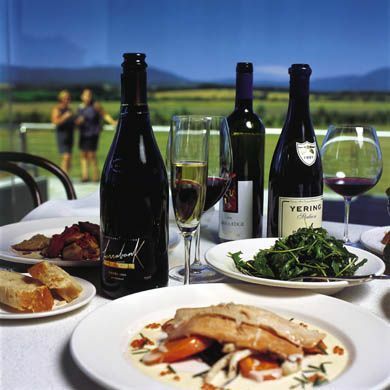 The wine list has one hundred offerings, all of them, except the champagnes, from Italy. Grape varieties are given, as are alcohol levels. This latter information is particularly useful, for some of the local wines made from the primitivo grape (what our American cousins call zinfandel) can reach an eye-watering 16∙5%. Prices range from 22€ for various local whites to 350€ for 2000 Dom Pérignon and 190€ for Mr Gaja’s 2001 Barbaresco. 2004 Tignanello is a very tempting 100€. From my own bottles, I can recommend two Puglian wines of great interest. The white grape Fiano Minutolo is remarkable. To the nose it gives an intense perfume of gooseberries and lychees, rather like a heavy gewurtztraminer, but in the mouth it is very dry indeed (Minutolo, Polvanera, 2010 - 26€). I have found that some Puglian reds are too ‘hot’ and heavily fruit-laden for my palate. But the Nero di Troia grape (grown in the northernmost part of the region) has more structure, complexity and balance of tannins. This one was a gem, with lots of oak, damsons and stewed rhubarb – delicious (Vigna Pedale, Torrevento, Castel Delmonte, 2006 - 30€). 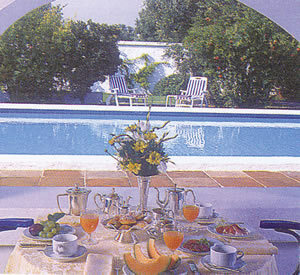 I returned to the dining room each morning for breakfast, and thus enjoyed the kindly attentions of the waitress, Maria. She it was who brought the gorgeous fresh orange juice and the plates of grilled sea bass (another special request, to which the kitchen responded magnificently) with porcini mushrooms. From the buffet I helped myself to dishes of pineapple, melon and strawberries and slices of fresh, crusty bread. All of these comestibles were of the highest quality. These were good starts to my days. 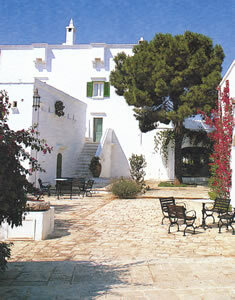 If you are thinking of visiting the delightful and beautiful region of Puglia, you should stay in a masseria. I can certainly commend to you Il Melograno. Contrada Torricella 345, 70043 Monopoli (Bari), Italy.